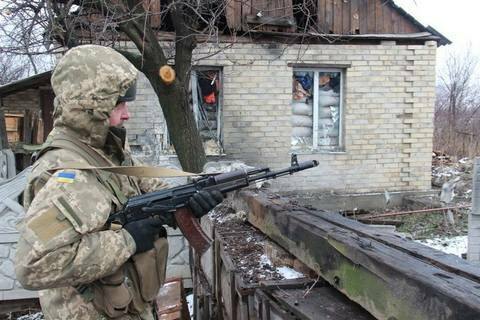 The antiterrorist operation (ATO) troops did not return fire. Since the beginning of the day, pro-Russian separatists have launched 15 shooting attacks in the ATO area in Donbas, including 12 in the Donetsk sector, two in the Mariupol sector and one in the Luhansk sector, the ATO HQ has said. Three times over the day, they have fired with 82-mm mortars at ATP strongpoints near Zaytseve. They also used grenade launchers of various types and large-calibre machine guns in the area. The militants used mortars and automatic grenade launchers near Avdiyivka at around 6 a.m. They opened unaimed fire with mortars on the ATO positions near Novotoshkivske and Zaytseve and with small arms and grenade launchers near Krasnohorivka and the Butivka mine. The ATO forces did not return fire. One Ukrainian serviceman was killed and one wounded on 13 March.